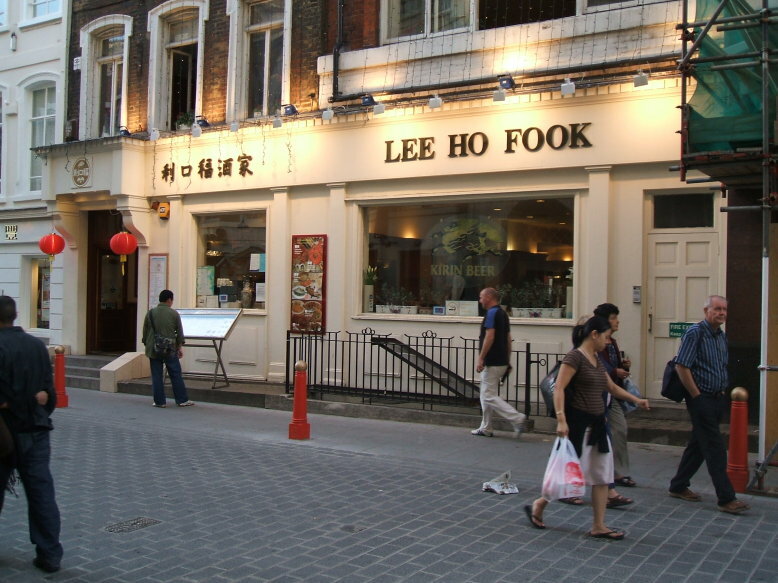 This is the restaurant in London's Chinatown made famous by Warren Zevon's "Werewolves of London". It's at 15-16 Gerrard Street, W1D 6JE. 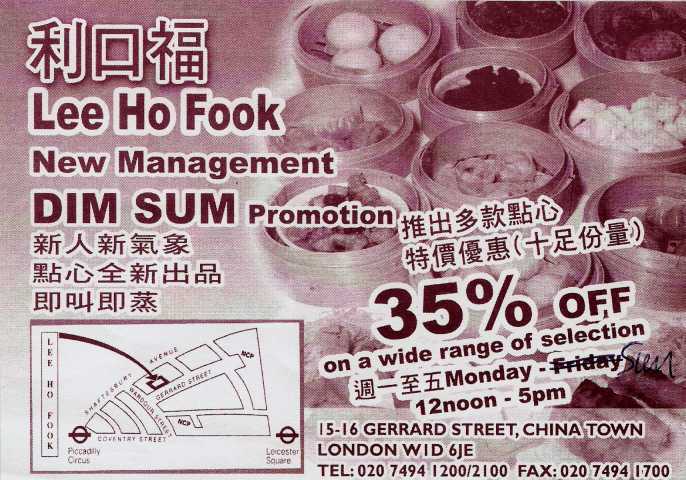 Carry their Chinese menu in your hand while walking through the streets of Soho in the rain. 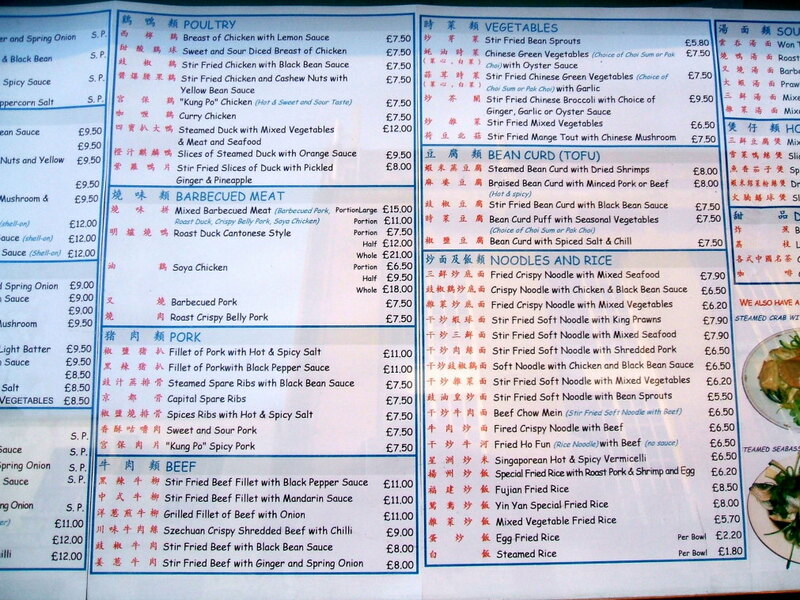 And here is the beef section of the menu. But they do have beef chow mein! It's listed under "Noodles And Rice". £6.50 for stir fried soft noodle with beef. Then you discover that the London telephone directory doesn't list a Trader Vic's lounge! But it's there, it's in the London Hilton on 22 Park Lane. If you want to run amuck in Kent, frequent rail service from Waterloo Station connects throughout the southeast of Britain. Many of Warren Zevon's live shows can be downloaded from archive.org. These are legitimate downloads with full permission, not bootlegs.